Currently seeking professional firefighters for opportunities in Hampton Roads, VA.
© Copyright 2019. 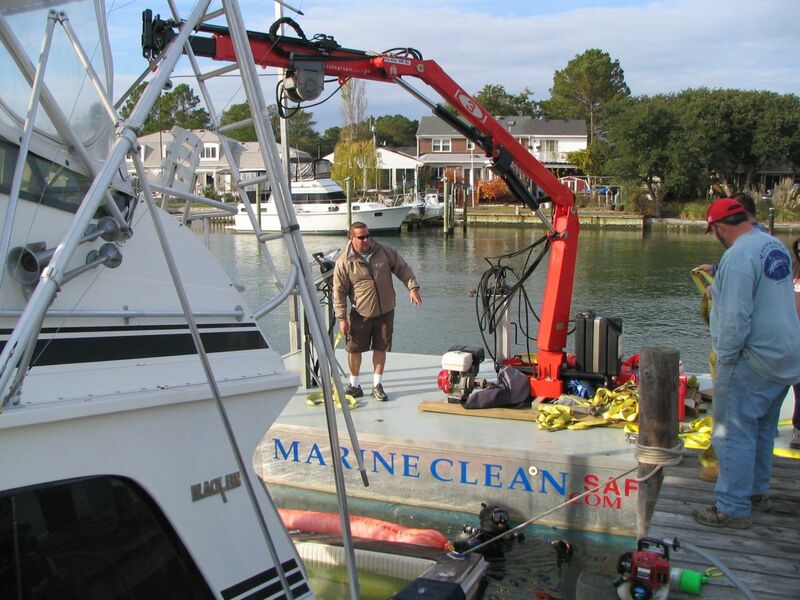 Marine Clean. All Rights Reserved. 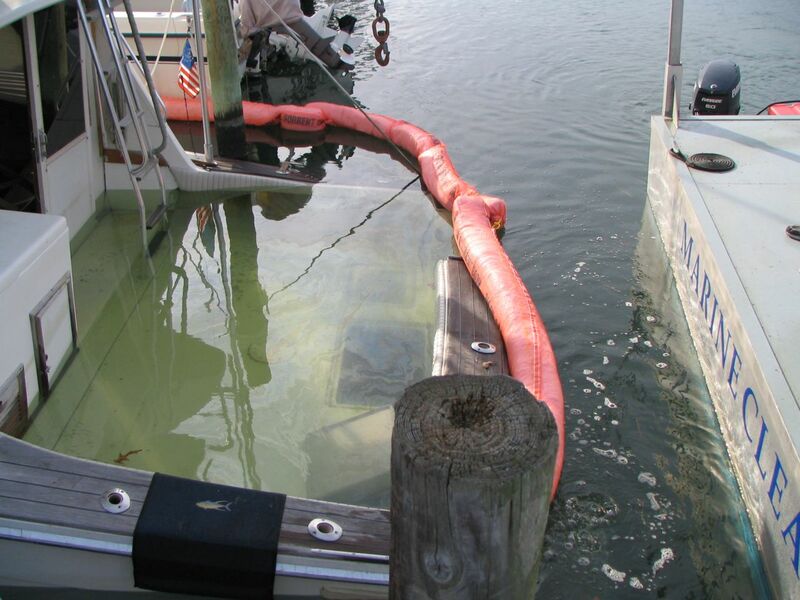 The Sea Isle Property Owners Association has contracted Marine Clean Safety & Prevention for large debris clean up from navigable channel and the repair of the boat ramp pier. The contract with SIPOA is to clean the center navigable section of the canals from large debris. 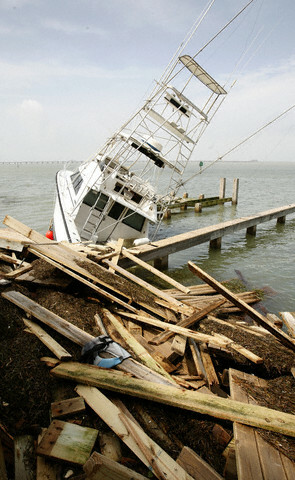 The existing SIPOA contract does not include large debris directly in front of property or small debris out to the center of canal, under boathouses, lifts, piers or against bulkheads. SIPOA Canal Clean Up Start Date: January 12, 2009. 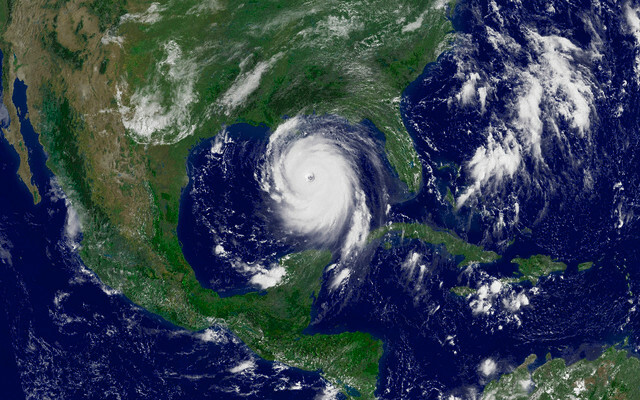 2008 Gulf Cost Hurricane Relief efforts are now underway. 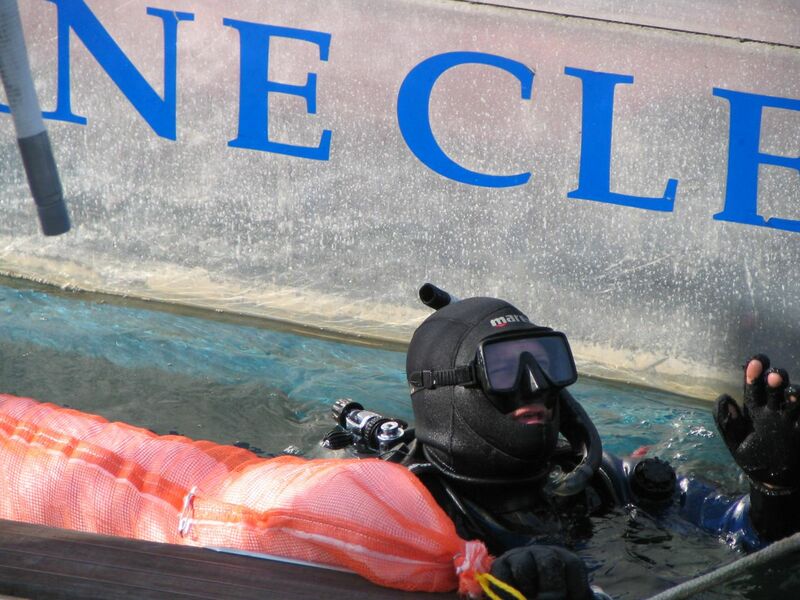 The Marine Clean Safety & Prevention team has over 20 years of experience responding to Hurricane Relief needs. 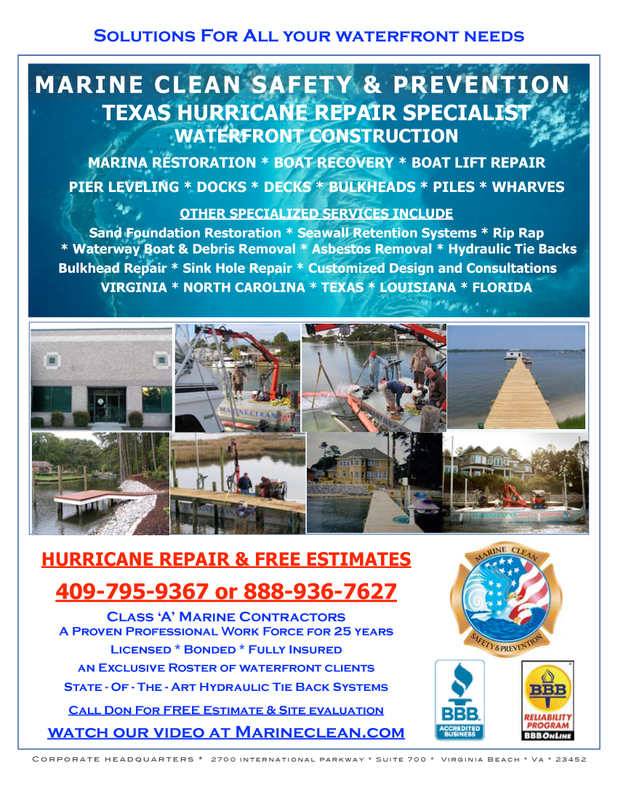 Based out of Virginia Beach, Va, Marine Clean Safety & Prevention has the experience, equipment, man power, and customer service to respond to Hurricane Relief efforts. 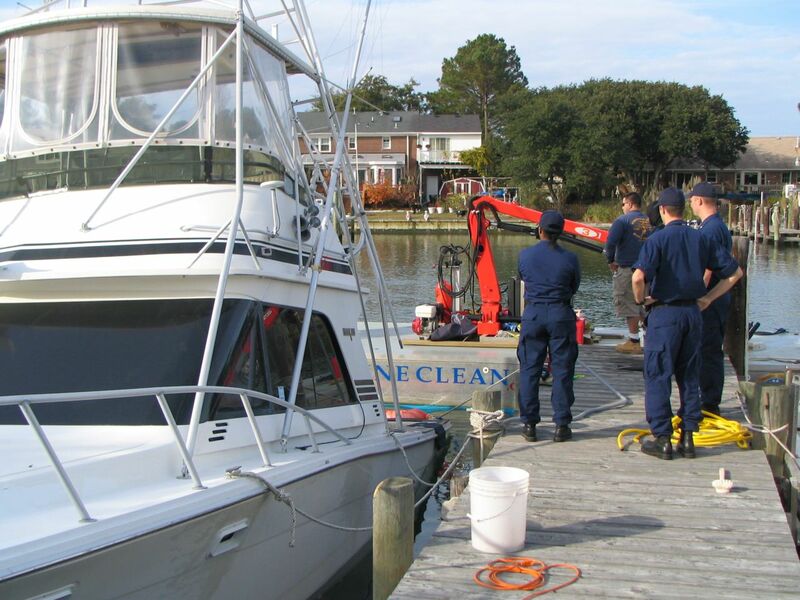 Marine Clean Safety & Prevention works with Coast Guard during Vessel Recovery.